Audi presents the first commodity cross-country on electricity, the E-Tron model, on September 17 at a special event in the American San Francisco. Prior to this premiere, the company wanted to present the car on August 30 in Brussels, but the deadline was postponed due to "organizational problems". In the company's model line, the E-Tron car will be pouring in between Q5 and Q7. In the main competitor, the novelty will receive the Tesla Model X. Most likely, the car will be estimated from 66 000 euros. His production will be carried out in Brussels at a local enterprise. Let's add that here not only production, but also a creation of all electrical components for the model will take place. 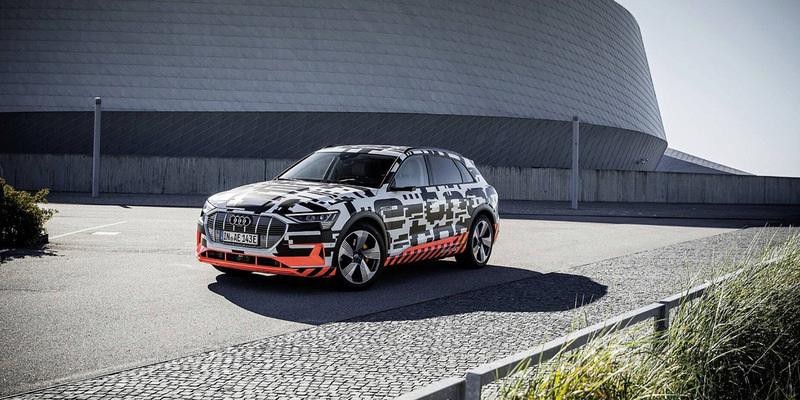 The car repeats the design concept e-Tron Quattro 2015 m. The model is iconic, after all, it is the first commodity car which instead of side mirrors has special cameras. At 1 power reserve, the novelty will travel more than 500 km. On the motorways, the situation remains unknown.